Maybe Brian Hearn can do something here similar to the Sebastiani Theater in Sonoma. A mix of indie films and classics. I've thought the same about this building. Could be great as either an indie theater or a small music venue (Unless it is too close to Heritage Hills of course....). I'm surprised the Chesapeake Arena wasn't too close. Being just as bad as Edmond NIMBY's, Heritage Hills residents would probably fight redevelopment of the theatre. Hopefully it happens though. OKC is the largest city in the country without such a theatre. OKC is the largest city in the country without such a theatre. Been in this building several times, bones appear to be good. I had a few buddies bought/rented it a few years back and tried to make a music venue, but I don't think they had the business savvy to pull it off, not to mention MidTown might have not been ready for it. No doubt, we could support it now if done right. I am trying to picture this building and can't. Anyone have a pic of it? I created an article at the top and added some photos, including some cool historical ones. Does anybody know how much it was for Dillon to put in a new sign and marque at Tower? Anyone have an update on this building? Seems strange that it's still sitting vacant when several other less desirable buildings in Midtown have been redeveloped. 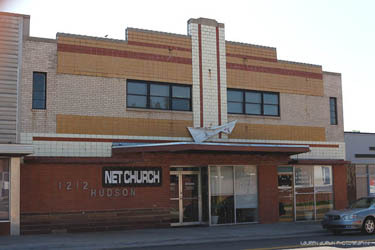 This building just sold to the Pivot Group for $2.86 million. The Oklahoman has a story on it but it's behind a pay wall. Resolution Legal Group is moving in from their current location in the Kingman Building in Bricktown. Future use of the theater space is yet to be determined. It was mentioned elsewhere here that Midtown Nutrition has moved in to the space on the south end of the property. Like the Tower, there is a lot of office / retail space in addition to the auditorium. Also, a large undeveloped lot directly to the south. Midtown R owns all the property to the south with longer term plans to develop. Link isn't working for me even with a subscription. So exciting to hear! The Pivot Project is the same group who restored the Tower Theatre. The article said they plan to restore the marquee. Yippee!!! I have a recurring problem when I try to open an article on NewsOK.com on my iPhone. The site loads and I go to the Downtown OKC section and tap the article link and it says HTTP/1.0.403 Forbidden. It's been doing this for months and it's irritating as hell. Is this what you're experiencing David? This is something different I think. The text of the page is just a "Oops! We can't find the page you requested." error wrapped in the usual newsok page layout. What's odd is the title of the page is "Marquee set to return to forgotten Midtown theater | News OK" which is I assume the title of the article that is failing to load for me. This is just Chrome on a regular PC, so at the very least it's not an iPhone specific problem. I'm having this same issue on my PC using Chrome as well. So will this be another project where they overpay for a dilapidated building and then come with their hand out to the city for TIF money? Im not discounting some of the good work they have done but some of these projects shouldnt have got TIF money. It isnt a good use of funds, the projects should have been evaluated beforehand if they could work and it almost artificially inflates property values. If you know you can get half a million or so in free city money, you end up overpaying for a crappy building. Maybe Im wrong and they can make it work on its own. History says otherwise. Usually, developers meet with the City before purchasing and get a good idea of what they can expect in terms of incentives. But of course, nothing is official until the application goes through the requisite channels and ultimately gets approved by city council.